The enchanting Cecilia Bartoli was the first singer to perform Rossini’s comedy at the Met, and people clamored for tickets to the long-sold out performances. 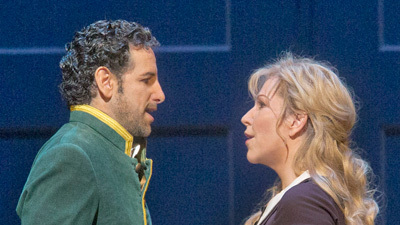 This retelling of the classic Cinderella story has some delightful twists—like Dandini (the very funny Alessandro Corbelli), the valet to the prince who’s disguised as the prince and who also falls in love with Cenerentola. But of course, she’s destined for Prince Ramiro (Ramón Vargas). James Levine brings out all the color and humor of Rossini’s marvelous score.